Gender reveal parties are all the rage because it is exciting to discover the gender of an unborn baby. 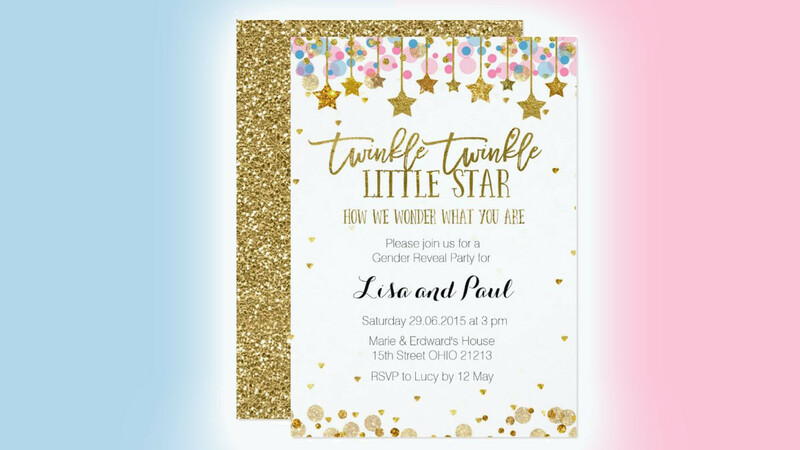 If you plan to host a gender reveal party for your family and friends then this beautiful invitation is a great way to set the scene. The song has been changed slightly to suit the occasion. You can customize the content of the invitation in order to suit your particular event. Friends and family member are sure to keep this beautiful invite for their photo albums or scrapbooks.